When storing in database, data of extra fields will be stored as text string. If you want to sort these data in numerical order, this will be impossible. 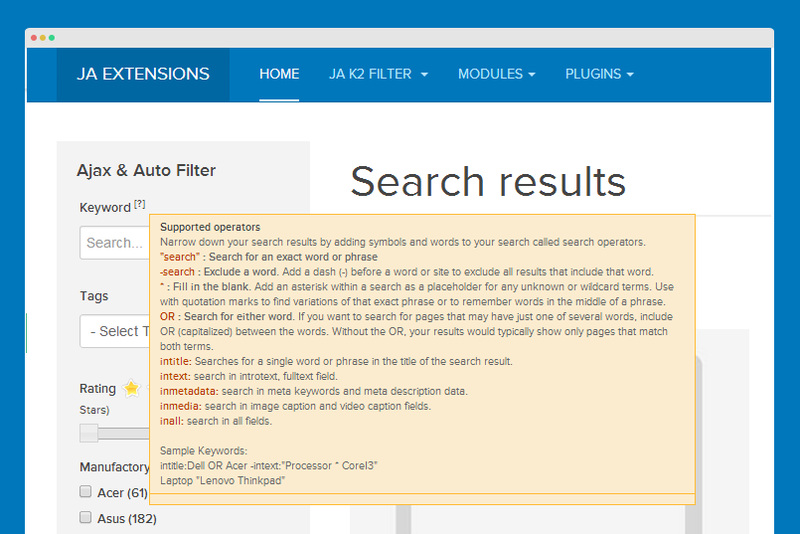 So, this new feature of JA K2 Filter v1.1.5 will enable you to choose between String or Numeric data type for sorting with extra fields in JA K2 Filter. With ‘String’ type, search results will be treated as text and will return as a string of text. On the other hand, ‘Numeric’ will sort extra field data as number. For example, we have a result list: 1, 3, 2, 4, 12, 11. In String mode, it will be arranged like this 1, 11, 12, 2, 3, 4. In Numeric mode, it will return 1, 2, 3, 4, 11, 12. 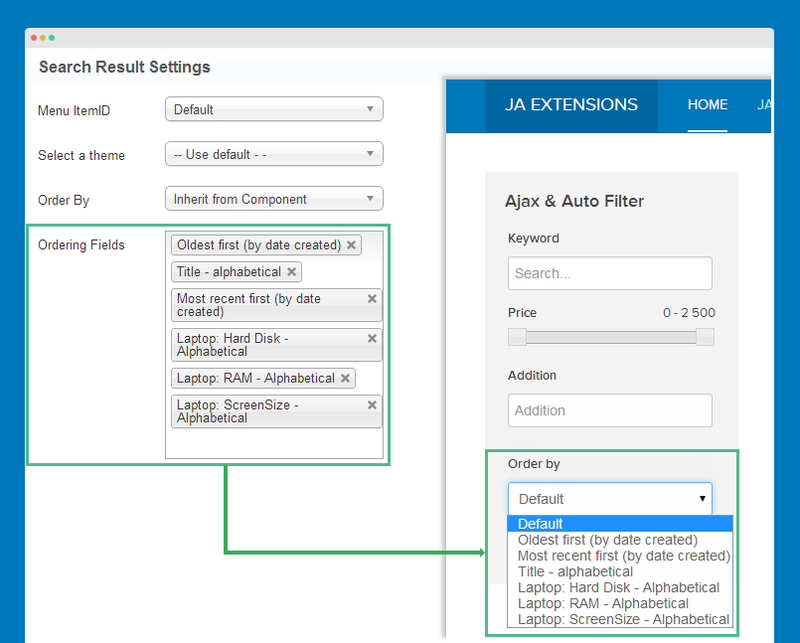 This setting will allow you to arrange the display the order of your search result based on extra fields. 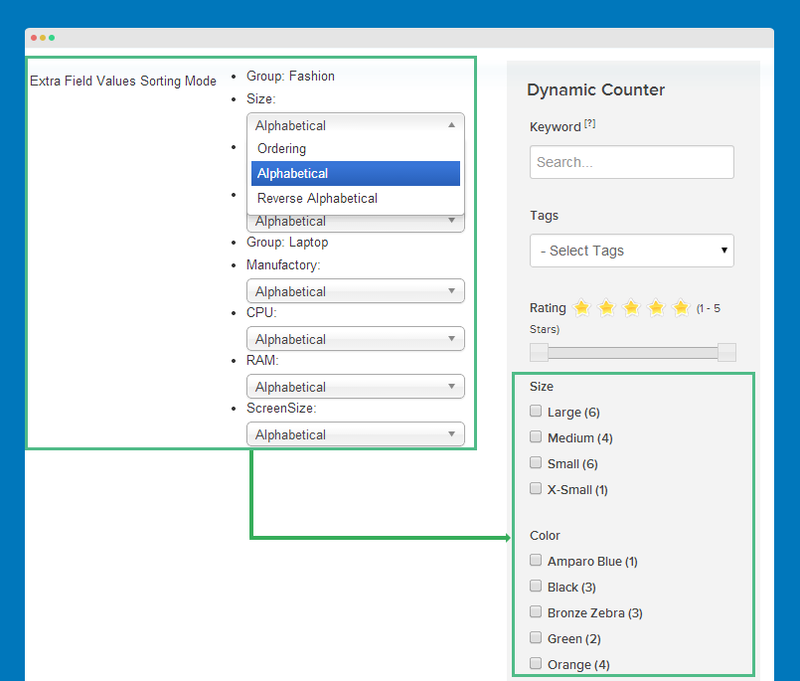 In Extra Field Values Sorting mode, you can set the sorting mode for each extra field in Search form. There are two options to opt for: Ordering and Alphabetical, which will sort your results based on the user config order and alphabetical order. If users are not familiar with your site front end and the keywords for search, it’s better to turn the keyword tool-tips on. It might help them a lot while searching for a desired result. 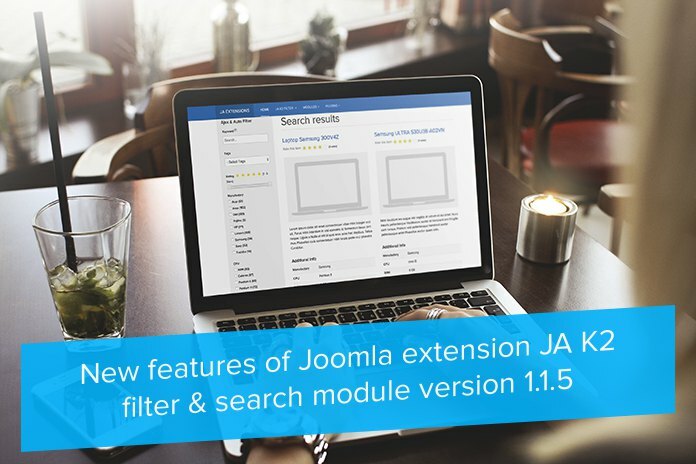 We strive to build the best Joomla extension for Search, and our JA K2 Filter is among the most powerful features for K2 component. We’d love to hear your thoughts on these new features of JA K2 Filter on the comment section below.